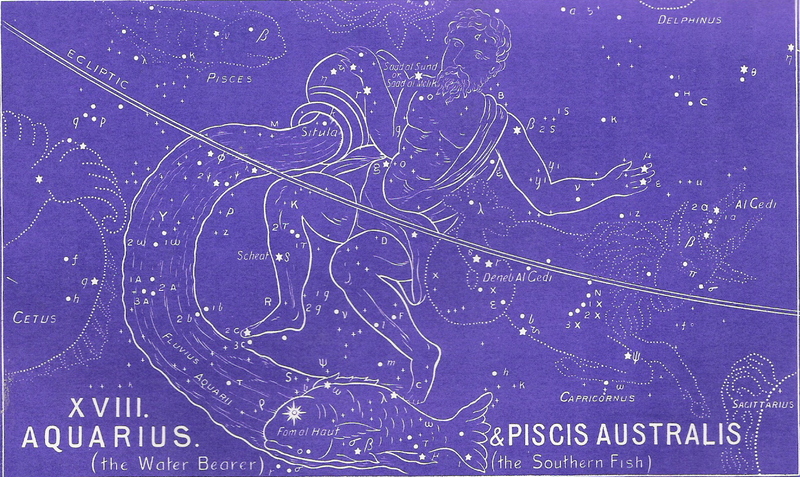 It is extremely importa nt that you study Aquarius before taking a good look at this fish, Piscus Australis, because the two are actually connected. The man Aquarius is providing life for this fish! You will notice that the fish has only this one source of water for its life — that is, the flow that issues from the urn of Aquarius. This fish represents us! Here is a vitally important truth for every person — we have but one source of eternal life and that is Jesus Christ (as represented by Aquarius). As you read on, pay close attention to the star names and their meanings. Wth the constellation of Aquarius and its decans, we are introduced to the concept of grace — God’s unmerited favor toward mankind. It is through that grace that any individual can live an abundant life here on earth and receive eternal life in heaven. A union with Christ is the purest source of joy that a person can know. Because of His unrelenting love, He gave of Himself so that, in His resurrection power, He could bring us into this beloved relationship. Notice the meaning of the one star called (in Arabic) Sa’ad al Sund — “the Luckiest of the Lucky.” Of course, we know there is no such thing as luck — but couldn’t we easily replace that word with “favored”? The church of Jesus Christ (those believers from the Day of Pentecost until the Rapture) are the most highly favored of the favored ones. We have been given the gift of the Holy Spirit! And we are co-heirs with Christ! 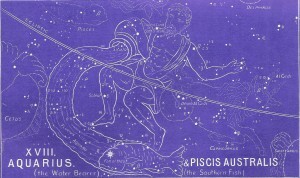 To continue in the correct order of the ancient star chart, please select Pegasus next. Be sure to download the free e-bookthat explains the historical, cultural, and biblical evidences to support this amazing star revelation.